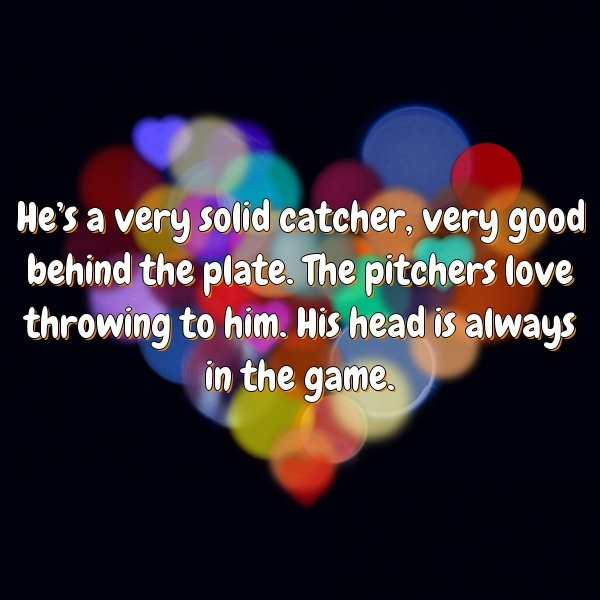 He's a very solid catcher, very good behind the plate. The pitchers love throwing to him. His head is always in the game. He’s a very solid catcher, very good behind the plate. The pitchers love throwing to him. His head is always in the game.